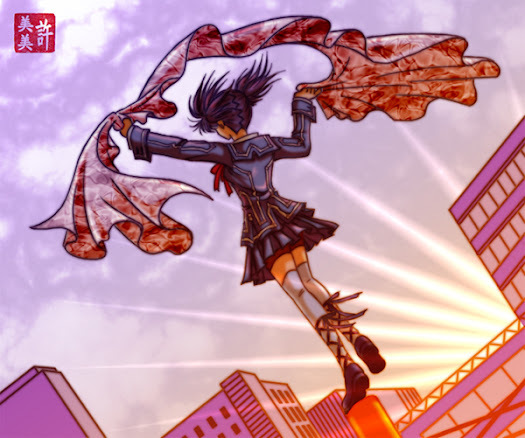 After a rainy day in the City of Polychromatic, Kuromi decided to go out and explore the City by jumping on the rooftops and electrical poles to watch the sun rise. It was a horrible time for her as it was only days after she was left all alone in the City... but the new day gave her renewed hope. I was fascinated by the design of Cross Academy's uniforms, so I let Kurumi wear the day class'. I think it suits her pretty well.